Petroleum 30 C (12 pellets in 5 liters water), sprayed and watered. Improvement was seen after 3 days, and after one week the pests had disappeared. The pots were later returned to the balcony where they suffered no further infestation. Ms S. had sixcucumbers in her greenhouse this year. She planted them, pre-grown in pots, at the end of April . By May she already had her first cucumbers. As every year, they developed well until they were affected by spider mites in June. 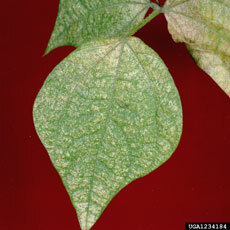 The affected leaves had yellow spots, caused by the sucking action of the pests, which later became larger, until finally the entire leaf dried out and turned brown. In previous years, Ms S. had used beneficial organisms (green lacewings). This somewhat reduced the infestation but without completely eliminating it. The spider mite infestation improved a little but then returned strongly again. At this stage the cucumber plants looked distinctly unwell. At the beginning of August, she tried Amblyseius 6 X, which is a homeopathic preparation from Gamasina mites. She removed the old affected leaves and watered the cucumbers 2x per week with 10 ml of remedy solution in 10 litres of water. 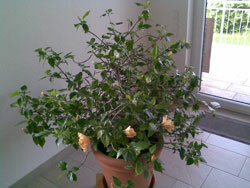 "I had great success treating a hibiscus (house plant, not frost-hardy) with Petroleum 30 C. The plant reacted immediately – by the next day (!) 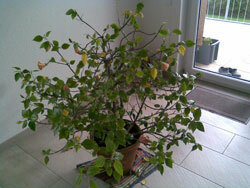 it had started to differentiate between diseased leaves, which it discarded, and healthy “to be kept” leaves. The plant's vitality increased straight away. 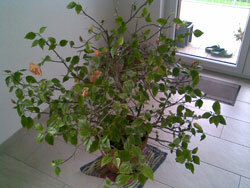 The colour changed within a few days, with more green leaves visible. After repotting as an additional measure, it is now putting out new shoots. For me this is clearly a success application of your homeopathic remedy. Normally I have to take immediate and firm counter-measures in cases of spider mite infestation (which hibiscus is sadly prone to), either by carefully wiping the leaves by hand or by using an insecticide. Inaction leads to the most severe infestation with total loss of leaves." Blackberry plant is wasting and has pale leaves. After a single treatment (spraying and watering) with Psorinum 200 C, it recovered and is producing new leaves that are not infested. 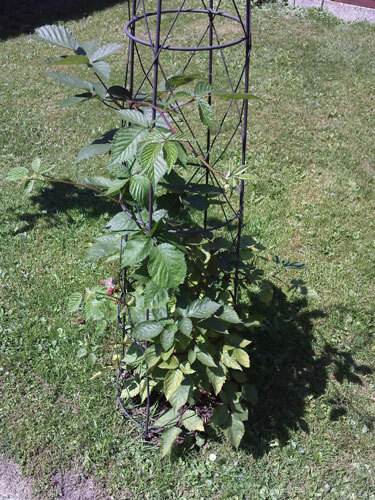 Blackberries, planted in spring, good growth, but then growth stopped, and they became infested with spider mites. Today (July 7) there are no further signs (except that the leaves remain pale) and the plant is once again continuing to grow. The silver on the edge of the leaves is just the hairs of the blackberry. Cucumbers were infested with spider mites. 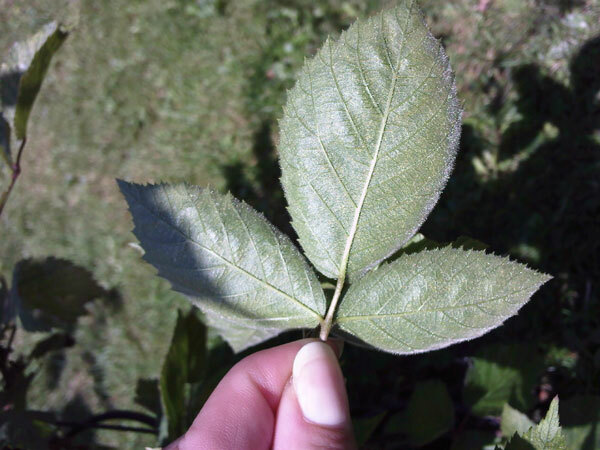 The severely infested leaves were removed and the plants were watered every 5-7 days with Natrium sulphuricum 6 D and Silicea 6 D, until there was a noticeable improvement. The roots developed better then ever before and the cucumbers tasted excellent.